Your pocket guide to Santiago, Chile. Written by: Karen O’Dwyer Santiago is a lot more vibrant than people give it credit for, with outstanding local produce showcased by modern funky bars and restaurants and elegant classic dining options to suit your taste. One of the hardest choices will be which neighbourhood to stay in as they all have their benefits. I have to stay after my third visit to Santiago, this time was my favourite so far. We felt extremely safe staying in the Lastarria neighbourhood where, after fabulous dining and wandering night market stalls, we came to the conclusion that it retains its elegant and classic charm with a trendy youthfulness catering to all ages and most budgets. The beauty of Santiago is that it’s never too far to explore another neighbourhood to vary your dining and nightlife experience. 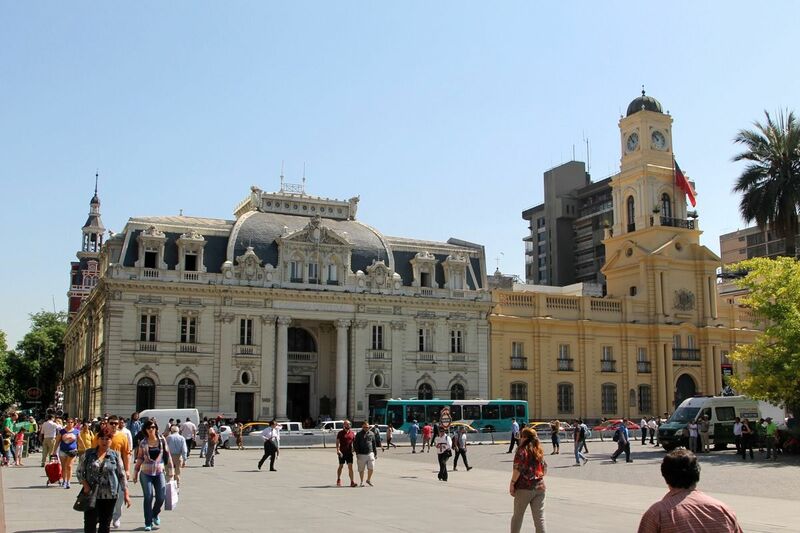 With any trip to South America I always recommend a minimum of two nights at the first city. This allows you to use your first day to check in, enjoy the local neighbourhood of your hotel before venturing to explore this vibrant city without needing to worry about potential flight delays, as most flights arrive in the afternoon. A six-hour private tour of Santiago really gave us an amazing overview, but we found ourselves wishing we had more free time to explore these intriguing neighbourhoods further. With the historical Plaza de Armas with its ornate buildings and an amazing cathedral, the variety of architecture, bustling seafood market, the famous café con piernas, the street art, some quirky shopping and café areas finished off with the Orient Sector full of classy boulevards, it was hard to pick my favourite highlight. What was it you ask? 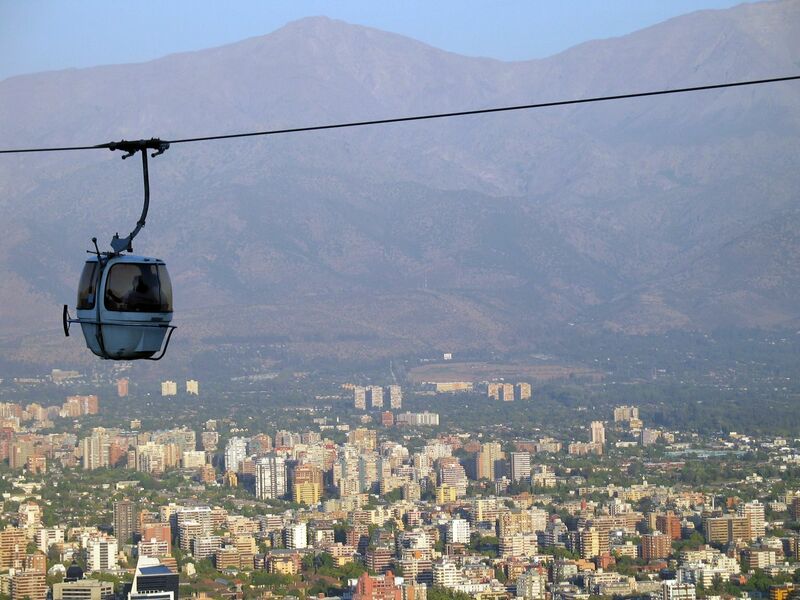 The funicular ride to visit the amazingly designed Cerro San Cristóbal with its quaint church and 72-foot statue of the Blessed Virgin Mary overlooking this city with the Andean mountains backdrop. We experienced the five-star Singular Santiago which offers impeccable service, food and the best concierge assistance I have ever received anywhere in the world. The rooms were quite large and very well appointed with a classy luxurious traditional feel to the hotel. We had dinner and visited the nearby four-star Hotel Cumbres Lastarria which is a wonderful boutique modern urban hotel. The Tapas bar and also their main dining restaurant are equally worth visiting whether you are staying there or not, but I also liked their self-service business lounge for all guests with food and coffee/tea available 24 hours. I have seen a lot of four-plus star hotels in Santiago and this hotel truly offers fantastic value for money, so if five-star is not for you, this boutique hotel will not disappoint.